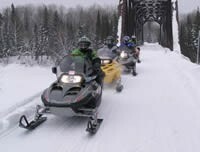 Riding in Ontario, Canada gives me tons of opportunities to try different types of terrain, trails, and above all, how different sleds respond in these different circumstances. 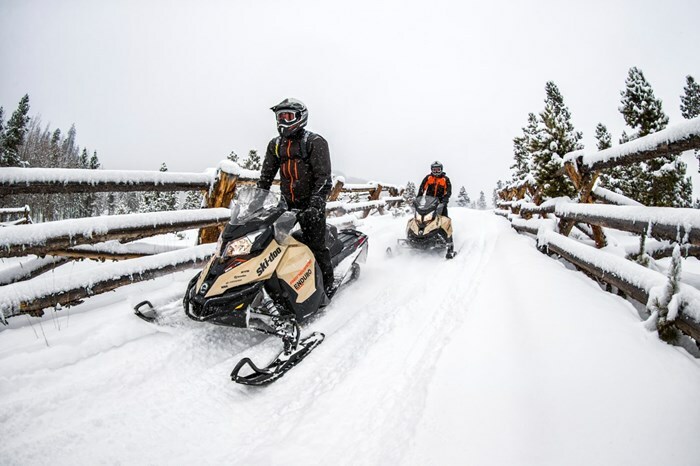 I’m a touring sledder, which means I spend most of my time figuring out how to choose the best sled for that kind of riding. 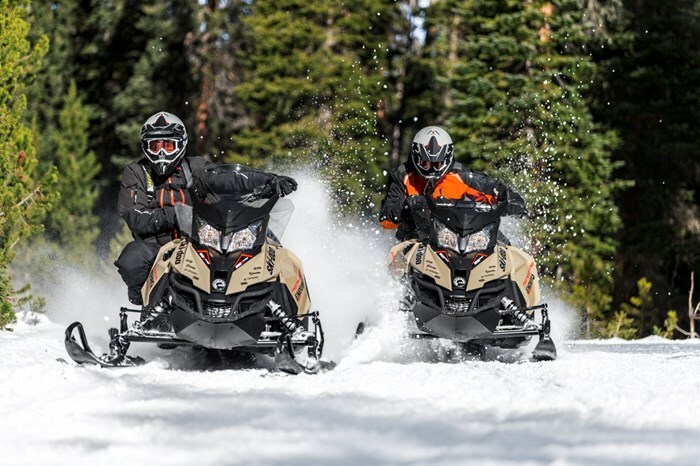 Part of Ski-Doo’s popular family of crossover sleds, the Renegade Enduro debuted in 2016 and is as close to the perfect trail touring sled as I’ve ever ridden. I operated my 2016 Enduro all winter throughout Ontario in some of the most challenging conditions I’ve encountered in many years of sledding. Throughout, it delivered consistent and reliable performance, handling and comfort whether I was on a pedal to the metal logging road or a tight and twisty. As a high miler who rides in every amazing terrain Ontario has to offer, I couldn’t ask for anything more from my sled. That’s exciting for me because this REV-XS platform Renegade is back virtually unchanged for 2017 with all its advanced features like Pilot TS Adjustable Skis, rMotion Rear Suspension with Air Ride, RAS 2 Front Suspension and an Ice Ripper XT Track. 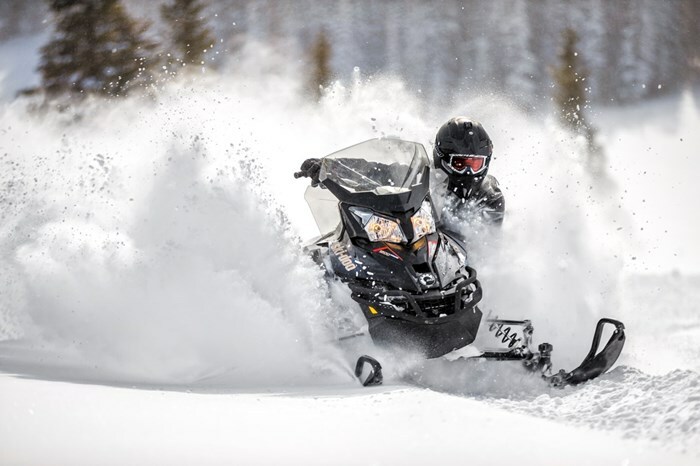 And that means I get to ride it all over again…and that my 2016 riding experience comments are still relevant for your 2017 sledding buying decision. The 2017 Renegade Enduro is available in either black or Northern Lichen (kind of a tan colour). Personally, I opt for the Northern Lichen, which looks way better on the snow than in the sales brochures. It also comes with your choice of four great Rotax® engine choices – 600 H.O. & 800R E-Tec 2-strokes and 900 ACE & 1200 4-TEC 4-strokes. 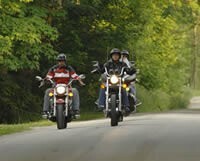 Last winter, I rode Enduro’s with both the 900 ACE and 1200 4-TEC engines on Ontario trails. In the past, I’ve also put a full season’s use on both 2-stroke E-TEC’s, albeit not in a Renegade Enduro. So I’m pretty familiar with what each engine does and while they’re all good, for 2017 I’m going with a Renegade Enduro 900 ACE because it just feels right for me. Plus, no other engine can beat its fuel economy – on tour in Northern Ontario I’ve squeezed up to 350 kilometres out of one full tank of gas! To further customize the Renegade Enduro for my Ontario long distance touring needs, I added the following Ski-Doo accessories…an extra high windshield with side deflectors and mirror kit, full body skid plate, tunnel scratchers, LinQ brackets, handle bar muffs, auxiliary LED light, and a glove box extension. By the way, did I mention that the 2017 Ski-Doo Renegade Enduro comes with a heated seat? Talk about comfort – especially when it’s -40˚C on a chilly morning in Cochrane! Yes, the Renegade Enduro proved itself as my ultimate touring sled last season – and that’s exactly why I’m going with it again for my 2017 Ontario tours! Buying or Selling a Motoneige?